Popular sapphire gemstones are usually blue – a beautiful deep blue like the sea – but they are also available in green, yellow, and purple-black. 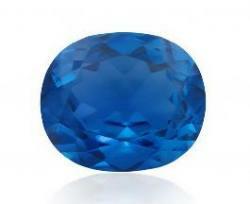 The blue color of sapphires comes from traces of iron and titanium in the stone. Folklore connected to sapphires state this stone symbolizes faith, and the blue color represents the sky as well as loyalty and friendship. The above information is paraphrased from the book, Healing Crystals and Gemstones by Dr. Flora Peschek-Bohmer and Gisela Schreiber. I've already mentioned Plush Creations' jewelry rolls and other jewelry bags, but as I was roaming through its website, drooling over all the luxurious jewelry storage possibilities, I also discovered this: Plush for the Cure Monogram. Per the company's website: " To help win the battle against breast cancer, your Plush lingerie or jewelry bag can be monogrammed with the pink ribbon that is known worldwide to represent our efforts to find a cure for breast cancer. The monogram charge is $9.50, a portion of which will be donated to the Susan G. Komen Foundation." I thought this was a nice touch, especially if you are giving a gift to someone. A gals got to look good on stage, even if she's playing something as unconventional as the saxophone. I'm talking about D-Erania, aka " the goddess of sound," and word on the jewelry beat has it that she's teaming up with jewelry designer Dana Arthur-Monteleone who has a long list of A-list jewelry enthusiasts: Oprah, Susan Taylor, and Toccora Jones to name a few. Dana isn't showing off any of her exclusive D-Erania designs on her website as yet, but you'll still see plenty of gorgeous jewelry incorporating lots of gemstone beads and her signature metal clay pendants. 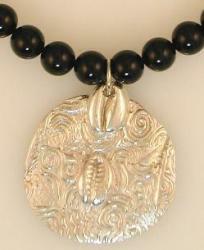 She also includes a jewelry trend forecast as well as other interesting jewelry factoids. Jewels were the inspiration for entertainer Ashanti's new fragrance: "Precious Jewel by ashanti." To enhance the theme of her new product, Ashanti is including a jewelry roll and lingerie bag from Plush Creations with all media and press gift bags. Per a company press release: " 'Eye Candy' is made from a designer fabric of embossed silk velvet in a beautiful shade of deep pink. Lined in a crepe back satin of the same deep pink, the bag is accented with a string of pink pearls all around and a dangling cluster of 'jewels' as a trim. It is a perfect match to the "Precious Jewel by Ashanti" bottle which also comes with a dangling 'jewel'." An, excellent touch Ms. Ashanti Douglas! And as a member of the press, feel free to send me one of your gift bags any time. For other beautiful bags to keep your precious jewelry, take a look at the Plush Creations website. Adriana Jenkins of Sterling Jones Designs has designed a special necklace: " The 36-inch-long necklace is a 14k gold-filled chain studded with faceted rose quartz gemstones. Available online and in stores, the “hope'' necklace retails for $140, but 15 percent of all sales will go to the Ellie Fund (www.elliefund.org), a nonprofit organization that supports breast cancer research, education and community outreach programs." There are a lot of safety issues when it comes to children and jewelry. 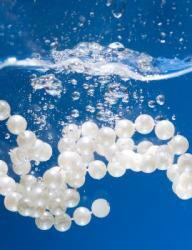 Jewelry items like pendants and key rings can be choking hazards if swallowed. Chains can easily catch and cause strangulation accidents. And to throw something else scary into the mix, some children's jewelry can often have lead in them. That is exactly what happened in the case of some Disney Princess jewelry items sold through Wal-mart and Dollar General stores. 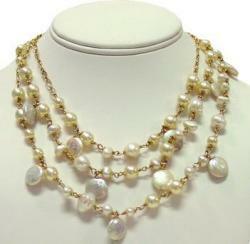 Kids' Costume Jewelry Recalled for Lead HazardCPSC, Monogram International Inc. Announce Recall of Bracelet KeyringsSadly, this is a story I too often read in the paper and on line. My advice is to stay away from cheap jewelry. It's often cheap for a reason. 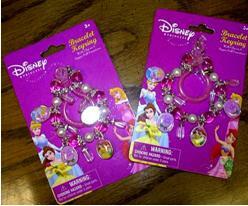 Have a few special pieces for your princess to wear and have her wear them when you are around to monitor her safety. If you're a guy, you may not, but if you're a woman, Forrester Research predicts you may be one of the 14 percent increase of female shoppers who will purchase jewelry on-line. On reason they give for this increase is that it will be easier – more user friendly. According to National Jeweler: " Since more and more mainstream consumers are already shopping online, retailers are investing in improved online shopping experiences by using state-of-the-art technologies, such as sophisticated analytics and personalization tools." So, what do you think? Are you buying more or less jewelry on line these days? Think you'll buy more in the future when all these new high-tech innovations come on-line? While some of us down south are still feeling the heat, jewelry designers are out there pushing the latest trends in fall jewelry designs. One such jewelry company, TurqJewelry has its latest fall collection for your perusal. While there are lots of deep earth tone colors included in its beaded jewelry line, there are still some lighter, more neutral colors, like white pearls, and a few brights peek in here and there with turquoise. You may already be familiar with TurqJewelry as some of its jewelry has been featured in magazines such as Health, Modern Bride, and Town and Country.
" 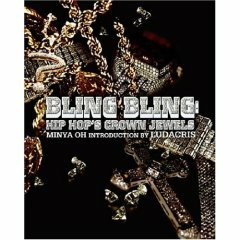 Rap musicians' obsession with outlandish jewelry, the "bling" of the title, is celebrated by pop culture reporter Oh in her first book. Rapper Big Daddy Kane tells her, "It's all about getting people to look at you," and the photos in this slick, urban volume prove his point. From huge "dookie" chains to jewel-encrusted Jesus heads, from platinum and gold teeth to the $40,000 bracelet Method Man bought for his three-year-old daughter, the artists of hip hop make it clear in numerous interviews that the acquisition of costly jewelry is a major part of becoming a star. Oh interviews many of rap's bling-obsessed heavyweights, including 50 Cent, Lil Jon, Chuck D and RZA, but bypasses artists, such as Eminem, who maintain a lower-key appearance. Most of the interviews are laced with profanities and reveal little except that the artist digs bling bling. When more serious topics are raised, such as the exploitation of Africans in the mining of diamonds, or what kind of message the rap world's materialistic vision sends to its audience, Oh doesn't probe. For example, when ordained minister Run, of Run-D.M.C. proclaims his affection for bling by saying, "God wants you to have everything you want to have," Oh declines to question him further. Slickly designed and full of unique content, this book will find a welcome home next to any hip-hop CD collection." List price is $27.50 US, but Amazon.com has it for $18.15 US.